Corndogs! I Don’t Remember Eating Corndogs! LIKE YOU, I’ve been trying to eat healthier lately. Trying to, ha!, but not succeeding! 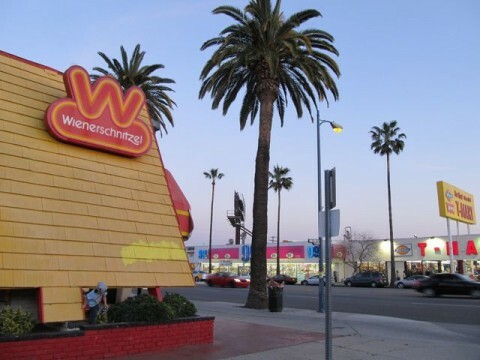 Recently, I visited my local Wienerschnitzel quick-serve (they don’t like you to call it “fast food”) restaurant and discovered they’ve got one of those good old-fashioned corndog sweepstakes going on with prizes galore, including what I like best, cash! 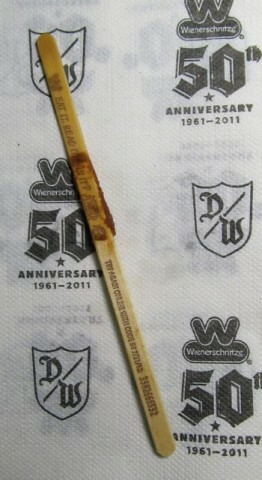 It goes like this: When you buy a corndog, there’s something printed on the stick – but lucky for you, you have to eat the corndog to see what that is (unless you’re Superman and have X-ray vision). If you’re an instant winner, you could win $10,000, $1,000, or other stuff, like additional corndogs. Yum! Next I unwrapped it. It may look a lot like one of my used Q-tips, but rest assured, brother, that there’s a corndog – and a scrumptious one at that. Then I ate the damn thing. How was it? Deeeeelicious! But I wasn’t a winner! Now here’s where the fun part comes in. 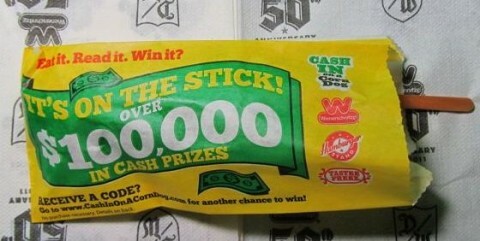 Taking my “officially” non-winning corndog stick, I carefully deleted the part where it says I didn’t win $10,000. 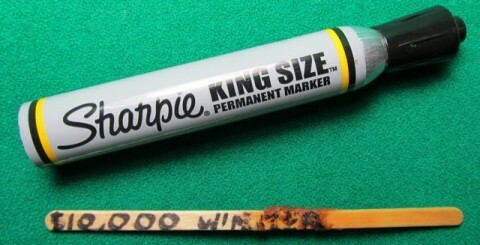 And being even more careful, on the other side of the stick, I’ve delicately added verbiage that indicates I did win $10,000. 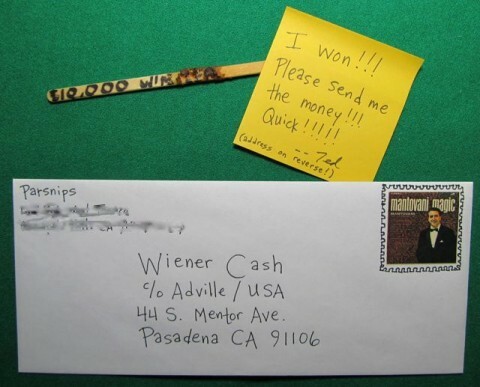 Now, it’s only a matter of popping this into the mail and letting them know I won, and them sending me my money. Next time: I’ll show you how to fool the (greedy, union-run) US Postal Service and save money by creating your own postage stamps from old Decca record sleeves – you know, the kind where they have little images of other albums. Posted by Ted on March 26, 2012, 1:29 AM.